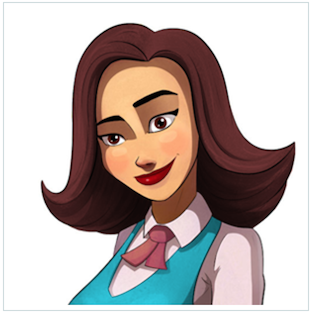 Many of you have seen your newest team member MIA (My Intelligent Assistant). 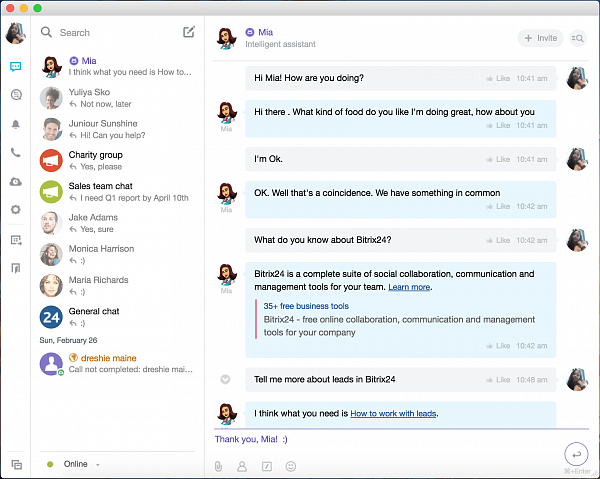 MIA is a chat bot and you can ask her questions about Bitrix24 or anything, really. We’ve created MIA with two goals in mind. First, this bot helps with new user engagement by encouraging them to start talking with other Bitrix24 users. Second, the bot helps these new users learn about Bitrix24 by answering user questions. As we are beta testing MIA, we are looking forward to hearing your feedback how MIA helps you and what improvements you’d welcome. If you’d like to stop receiving MIA’s notifications, simply enter this command – “/disableNotify welcome”.